Marcela studied English and French at the University of Sussex. She completed a Law conversion course and then completed her Legal Practice Course, passing both with distinction..
Marcela joined the firm in 2008 and qualified as a solicitor in 2010. In 2017 Marcela was admitted as a level 3 member of the Law Society’s Immigration and Asylum Law Advanced Accreditation Scheme. She was also a finalist at the Legal Aid Lawyer of the Year awards in 2017 in the Immigration and Asylum category. She was appointed partner in 2018. Prior to joining Wilsons Marcela spent a year working with Codepu, a human rights organisation based in Chile, where she worked on cases dating back to the Pinochet dictatorship. She then worked for the Immigration Advisory Service as a caseworker working on appeals to the Upper Tribunal. 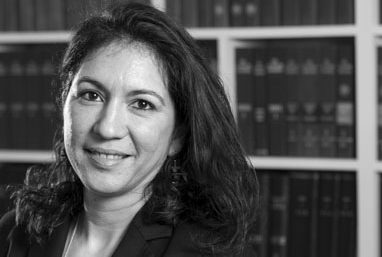 Marcela practices a range of immigration law, including asylum and human rights cases, EU law applications and appeals and deportation, advising legally aided and private clients. She has extensive experience of preparing applications and appeals at all levels as well as complex Judicial Review applications. She has had conduct of a number of appeals in the Court of Appeal, most of which have settled by consent. She is particularly committed to representing individuals who have suffered injustice as a result of the way their cases have been processed by the Home Office and those who have been in immigration detention. She acted for one of the claimants in the challenge to the Detained Fast Track system and later represented one of the test claimants in a challenge to the Detained Asylum Casework process which was brought in following the suspension of the Detained Fast Track process. Marcela recently spoke at a public event at the Houses of Parliament in July 2018, advising EEA nationals on Brexit. Interests: Reading, politics and music.